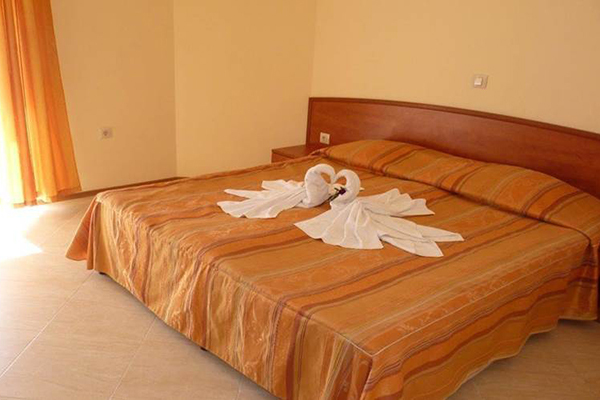 Apart Hotel Palazzo is placed in a resort area of Sunny Beach in the vicinity of Old Nessebar. The hotel was built in 2003 and refurbished in 2010. The city center is 30 minutes walk from the property. 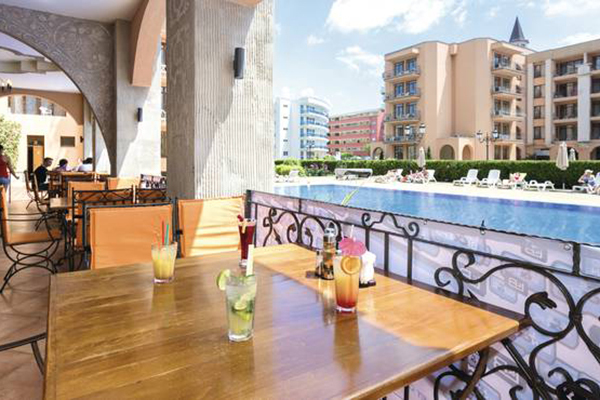 The hotel is 450 meters away from Briliantin Disco Bar and Nesebar Stadium. 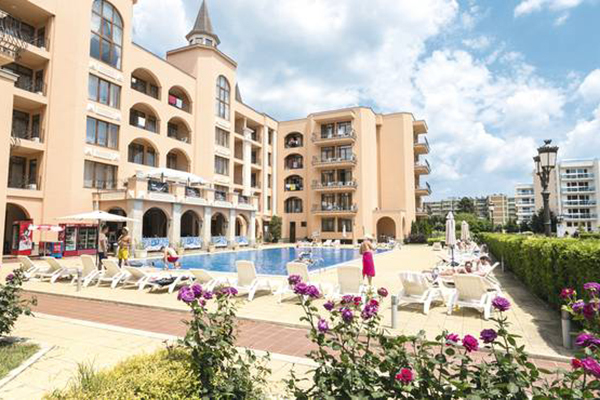 Apart Hotel Palazzo offers 98 rooms fitted with coffee/tea makers, a writing desk, satellite TV, a sofa and climate control for a comfortable stay in Sunny Beach. All bathrooms come with a hairdryer and a shower. Guests can try coffee and tea served in the night bar. Burgas airport can be reached in 20 minutes by car from Apart Hotel Palazzo. Feel at home by the sea!